* Displays in the fog Items, Spells and Modifiers. * Displays in the mini map and in the world. * Show and warn with sound when enemies use some dangerous items and skills. * Supporting sounds only English and Russian. beminee : For helping me. Wrote majority of code. spyware293 : Some codes are taken from Team Informer. Magmaring (bruninjaman) : It's a improved version of his old Be Aware Ninja assembly. Jumpering : For helping me. DarkP0wer : Some codes are taken from Speech Info. For me its working, what dont work for you? NOT WORK Show and warn with sound when enemies use some dangerous items and skills. It's working on my end and why did you remove from the database? Yeas we going to ask - installed via github instead. WHY DID REMOVE FROM TH DATABASE? I did not delete this. * Fixed Boots Of Travel Teleport. Hi guys, I checked I did not have any problems! If you have any problems or not pleasant moments let me know please. Also you can suggest new ideas. * Fixed Town Portall Scrol Teleport. * Fixed Mini Map Drawing. * Fixed Mini Map Color. * Added Furion Teleportation Name. Is smoke notification still bugged ? Because usually they always show two red stars for me. Not only in one spot. 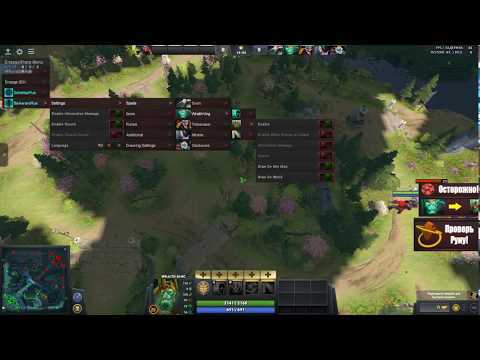 It is possible to add in alerts Roshan:if there is visibility on cave, then do not play sound "May have appeared" and if there is visibility and Roshan was there to run sound immediately about it, but not after 11 minutes? Возможно ли добавить в оповещения о Роше: если есть видимость логова, то не проигрывать звук "Возможно появился" и если есть видимость и рошан появился запустить звук об этом сразу , а не спустя 11 минут? What does the creep pusher AllUnitsPush do? Because it doesnt seem to work with natures prophet. BeAwarePlus V3 Release was not yet! In directx 9 the dota is going slower than in directx 11, is that normal? I can't get this to work in game. DO you need anything else in addition to running it in DX9? Everything else works I just don't get the icons in the fog for any spells. Also on the minimap I just get an asterix (*). its alr release? but im pretty sure it will drop 10-15 fps for this isnt it? I dont see skills and items anymore in minimap, after the dota 2 update.